Movie lovers are having their wishes fulfilled as the new, state-of-the-art Ster-Kinekor cinema complex at Eastgate has opened its doors. The complex, now situated on the roof level of the shopping centre, houses an IMAX® theatre, two luxurious Cine Prestige 3D cinemas and seven Ster-Kinekor cinemas, two of which are 3D-ready. Two lounge areas, one exclusively for SK Club members – the SK Club Lounge, offers customers the perfect place to relax with family and friends, both before and after the movie, while exciting new catering offerings, including a range of Pizza Hut pizzas, will satisfy any movie-watching hunger pangs. “As the country’s leading cinema chain, we are delighted to offer movie fans in Johannesburg and surrounding areas some of the world’s most advanced cinemas. At our wonderful new site here on the rooftop at Eastgate, all ten cinemas feature the latest in digital projection technology, resulting in crystal clear images and perfect surround sound, and luxury cinema seating to enjoy that special big screen experience. All of this will ensure that our audiences enjoy ‘Great Moments at their Greatest’ each time they visit our Eastgate cinemas,” says Wanda Matandela, CEO of Ster-Kinekor Theatres. Ster-Kinekor has a host of special treats and innovations in store for movie lovers at Eastgate. 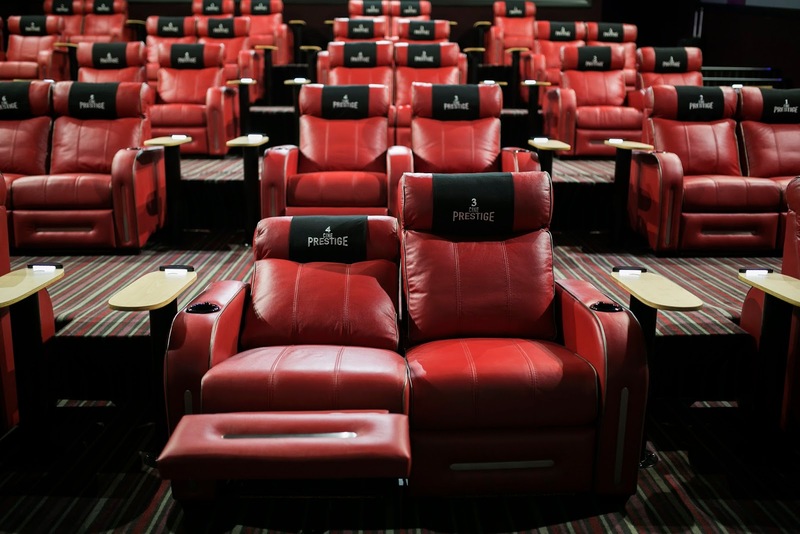 These include the two ultra-luxurious Cine Prestige cinemas. Cine Prestige is the ‘business-class’ of cinema, and epitomises film-viewing heaven and pure luxury rolled into one. The two 39-seater Cine Prestige cinemas share an exclusive VIP Lounge area where both tickets and catering can be purchased. Here, customers can order a selection of delicious gourmet platters, coffees, desserts and cakes, the mandatory soft drink and popcorn and, as a new addition, a selection of Fairview wines and craft beers (only served to patrons aged 18 years and older). Customers can also pre-order any of these items to be served to them by the Cine Prestige waiters at their seats inside the cinema. The large, red leather seats inside the cinemas are fully-reclinable at the touch of a button, and ooze lavish comfort. Each chair has a snack tray for the platters and refreshments, and also includes another Ster-Kinekor first: a refrigerated cup-holder. If you are a member of Ster-Kinekor’s loyalty programme, SK Club, you have the use of your very own exclusive lounge area – the SK Club Lounge. 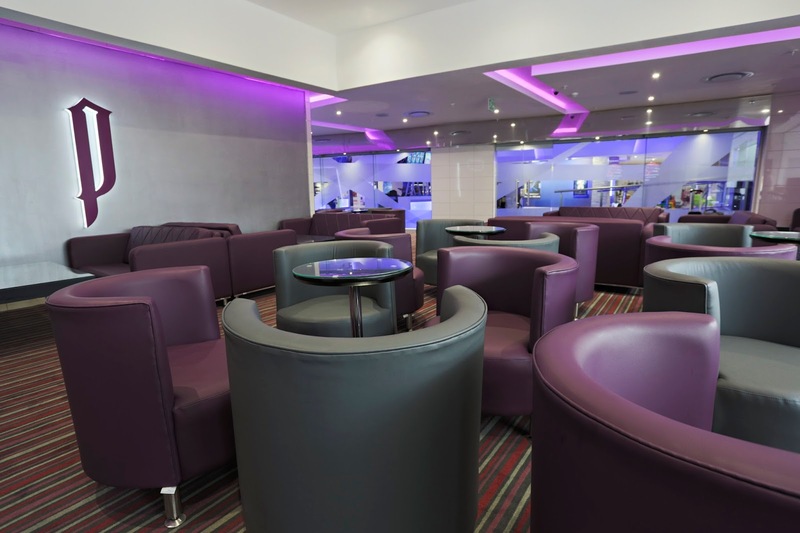 Here, members can relax and enjoy a range of delicious snacks and drinks from a dedicated catering counter. Here they can order a selection of imported Austrian coffees, desserts, delicious slices of cake to a range of Pizza Hut pizzas including a new Choc Dessert pizza, and frozen yoghurt. For the over-18s, select wines from Fairview Estate and a selection of craft beers can be enjoyed, both before and after the movie. At the self-service catering terminals, customers can order their snacks and combos, and make a payment, before proceeding to the catering counter to collect their order. The introduction of this technology puts the power of choice in the hands of our customers. 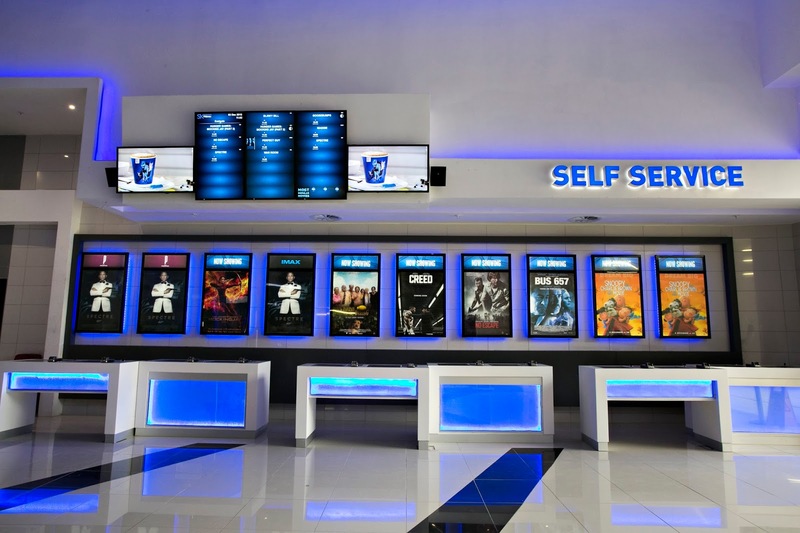 The self-service terminals provide our customers with a seamless experience when buying movie tickets and snacks, before entering the cinema to sit back and enjoy the latest blockbuster on our big screens. “An exciting new addition to the catering offering at Ster-Kinekor Eastgate is a range of pizzas from Pizza Hut. There is a choice of eight different toppings available in small and large sizes, including an exotic Choc Dessert pizza to add a sweet touch to your movie date!” comments Matandela. 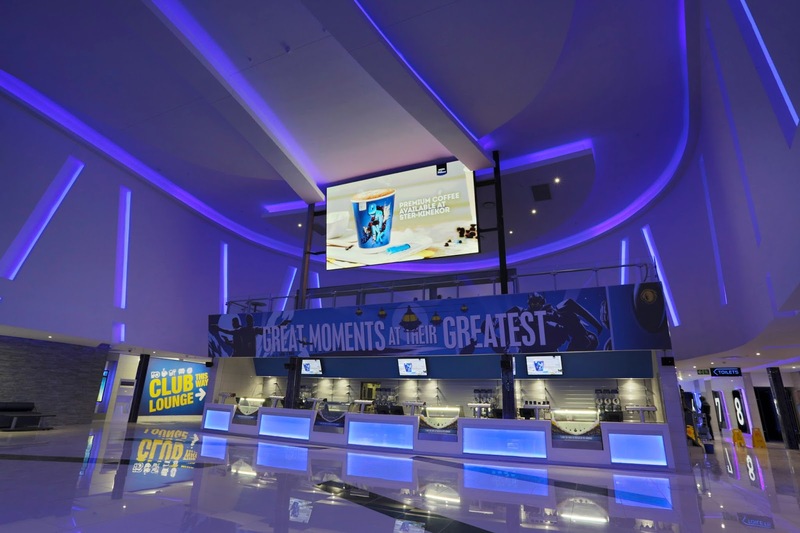 Movie-goers also enjoy all the benefits and discounts available through membership of Ster-Kinekor and its partners’ loyalty programmes: the SK CLUB, Discovery Vitality and Edgars Club. Joburg-based IMAX fans can now enjoy the world’s most immersive cinematic experience with the opening of the 375-seater IMAX® theatre, which forms part of the new Ster-Kinekor complex. 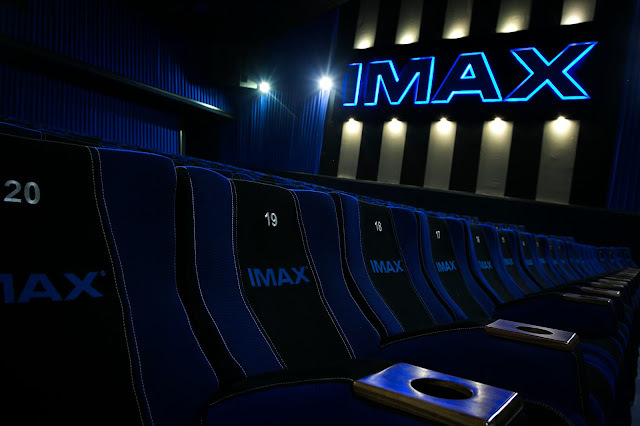 In the new IMAX theatre, the cinema is fitted with a floor-to-ceiling and wall-to-wall IMAX screen, the world’s most powerful digital sound system and a dual-projection system for maximum movie immersion. You literally feel as though you are in the movie. Films releasing at Ster-Kinekor Eastgate during December, in addition to Star Wars: The Force Awakens that screens in both IMAX® 3D and Cine Prestige 3D, include some great titles for the kids in the special ‘Holly-Day-Care’ summer promotion: Snoopy and Charlie Brown: The Peanuts Movie; The Little Prince; Alvin and the Chipmunks: The Road ‘Chip’and The Good Dinosaur. For all the latest movie news and to make bookings, download the SK App on your smart phone – and have all the information you need in the palm of your hand. For more information about Ster-Kinekor Eastgate, visit www.sterkinekor.com or sterkinekor.mobi. Download the Ster-Kinekor app on your smart phone for the latest information and to make bookings. To find out about other exciting offerings and promotions, or follow @sterkinekor on Twitter or on Facebook at Ster-Kinekor Theatres. For queries, contact Ticketline on 0861 Movies (668 437).